I’ve been bird watching. . .
but have been scarce for almost a year now. so I’ve been searching their habitat. . .
suburban and urban areas. . .
but they form flocks in the winter. They are monogamous and form long-term pair bonds. Cavity-nesters, they use existing abandoned cavities including old woodpecker or other natural holes and occasionally nest boxes. Nesting female Chickadees sleep in the nest cavity while males sleep in a nearby sheltered branch in a tree, vine, or shrub. They will also excavate or enlarge their own cavities in rotten wood or will find an unused cavity, usually 2-25 feet up in a tree for nesting. Their diet consists of insects, seeds and berries, eating large amounts of insect eggs and larvae, foraging on the undersides of branches looking for insects. Chickadees are also food cachers, storing both seeds and insects, in crevices or under structures on the ground such as twigs, able to find them up to a month later. I love your chickadees – here in Ontario I have them coming to my birdfeeders quite often…lovely post – anything with birds makes me very happy! Very cute- love your creative presentation! Those are adorable dishes and the little mercury glass pieces are too cute! I get to enjoy them here all the time- and they are a favorite to watch! Here in Rhode Island we have chickadees here, there, and everywhere, and it’s perfectly delightful…just like your post. Gotta love those sweet little birdies. the beauty we are given in Nature! Delightfully ingenious! Thank you for this bit of levity……just what I needed today. Chickadees are so sweet. We see them here. Wish it would snow! I love your chickadee dishes and that last shot of the table on the porch of the potting shed…a definite wow! We have our feeders ready! Love watching birds and especially in winter. your new addition will be a feast of endless creativity, thanks for keeping the magic alive. Mary, I have not spotted any chicadees here, but if they are in your area, they are bound to be here, too. Perhaps I can spot some of those dishes at TJ Maxx, though! These chickadees are so adorable! So happpy you are finding them everywhere now! I want to live in your potting shed. I just love your new shed and the way to decorate it up….love the chickadees too! Mary, this post is a beautiful way to begin my day! I adore your chickadee dishes, and the tablesetting on the potting shed porch is sheer delight. I suspect you’ll spot some chickadees with this table. They’ll want to join in the feast. Bravo on yet another stellar post, Mary! I love it! I’m so happy that I found your blog. You just made me smile. I used to live in New England where we watched birds all the time. My favorites were the chickadees and cardinals. Now I live in Southern California. Neither bird lives here which is so sad. But, I have quail and roadrunners. They’re entertaining, but alas no cute dishes at this point. Love the birds. 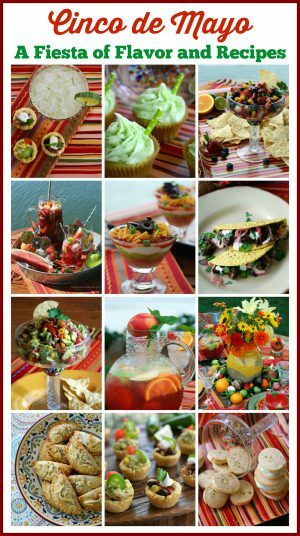 Recognized the dishes from TJ Maxx – beautiful theme and photography! I love every view of your little shed – and send every, single one to The Great Dane. Hint,,,,hint……He thinks it’s beautiful too, which is a start! I bought three teeny chickadee bowls, about three inches across, yesterday. That’s all I’ve ever seen up here. They are so sweet and just the right size for a few olives, a few few nuts or a wee bit of anitpasto for two. They are so pretty! Again, you leave me breathless but waiting for more…all I can say…Enchanting! 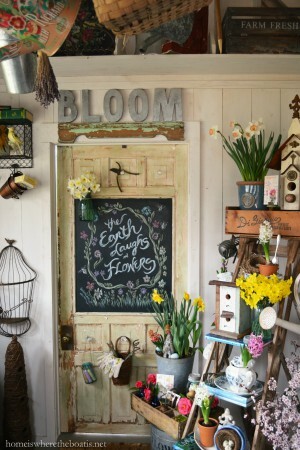 I did not realize your “potting shed” was that close to the lake…Love it more! These are lovely photos. Do you mind having your photos “pinned” on Pinterest? Oh, my gosh! I always find myself talking to myself when I read your posts. Everything is always so perfect and I think I lust after every single item that you own! I love watching the chickadees come to our bird feeders. I think they are so adorable. 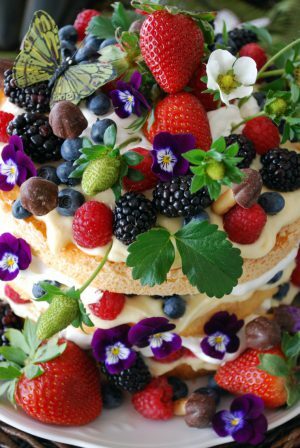 Beautiful dishes and I remember your giveaway from last year :) I’d love to find those dishes. I am sure they will come back. You have made them feel right at home. I love the next to last pic of the table with the lake in the background. I remember your dishes from last year and smiled when I saw them. :D So cute. I love the chickadees (especially the adorable little ornaments)…. I needed to smile this morning! Oh Mary, this is just divine! I think if you used 1000 pictures in a post, I would still look at each and every one. My grandmother used to feed the chickadees, and when her great grandchildren came along and learned to talk they always called her “Grammie Chickadee”. :) Merry Christmas. Very Pretty Photos! A really lovely setting for your cickadees and the china. Hope you have a Merry Christmas with your family! My, Mary, you’re so creative! I enjoyed learning about chickadees from your post and seeing all your chickadee decor. My favorite is the birdhouse with the spoon! Merry Christmas! I learned sooo much I didn’t know. Love the sweet chicadees. And have always had a sweet spot for those dishes. Darling ornaments!!! You really should put a beautiful book together so that we can enjoy your beautiful photography over and over again. It’s all just gorgeous. Love how close your potting shed is to the lake. I wish you the merriest of Christmases and many many blessings for this season and next year. Mary, I think your chickadees have flocked to our camp ;o) I adore your chickadee dishes, and have the platter and a few other pieces that we use at camp. What a delightful post! Oh, this is gorgeous! I mean just GORGEOUS!!! I love that planter box outside your window just spilling over with Christmas greenery! Man, that’s pretty!!! I didn’t have a clue about chickadees, but now that I know all of this I can take a closer look to see if those are the birds hanging out in the tree outside my office window. 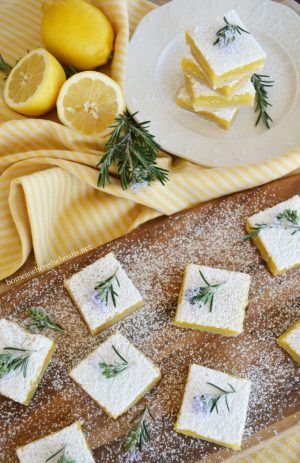 Beautiful dishes…they’re just so wintry!!! The table covering is perfect, and I just love what you did with all the birdseed!!! This table would make any bird lover feel right at home! Truly a masterpiece! Love your little “chick-a-dee-dee-dees” We have a few here and I love to watch them and hear their song. I am so envious of your shed. Merry Christmas. Oh my God. This is amazing!!! Love the chickadees! So adorable. Very sweet vignette, I love the natural elements. The chick-a-dees are adorable. I hope you have a wonderful Christmas. Wonderful, def not for the birds! It all looks so pretty and festive! I bought that cloth too, haven’t used it yet. And in the Lenox outlet today there were chickadee plates, etc. I wonder if it is the same? Thanks for linking to Let’s Dish, Mary, and have a very Merry Christmas! U sure know how to have fun. I luv chickadees too! Thay always make me think of my grandma in Massachusetts. I saw those at TJMaxx. I luv that u get to play in that amazing garden shed! !